Removal of water from tiles, concrete, floors. Provided in factories, offices, kitchens., Removal of water from tiles, concrete, floors. Provided in factories, offices, kitchens. Product is a connection type, please assemble when using it., Product is a connection type, please assemble when using it. 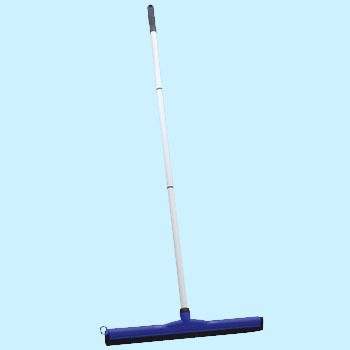 It is used when it can not be taken out by simple watering because sand smoke occurs. This review is about item#8531792. It is convenient because it can be put together in small quantities for emergency use that rarely occurs. As the rod part is a joint, the strength is reasonable, and if it does not affect the shipping cost, it may be better to reduce the joint section by one This product can be shipped with other things because one item is high shipping costs Cospa is good. It is light and easy to work, COSPA can also clean well without marginal drops of water. I used it for thawing in the garage, but the sponge is inconvenient for the watering, it was good if it was rubber. I would like the length of the handle to be a little longer. All made of plastic. It may be light, but the pipe part feels somewhat weak. This review is about item#08531792. It is cheap, but it is Cassha. I would like to make small ones like draining the mirror in the bathroom. This item has purchased a total of 4, but it will break from the root well. I would like you to strengthen such as making the base and the base of the handle even metal alone. As much as purchasing 1 bottle in a month, it was better to purchase a solid one that was high from the beginning. Unlike metal, it is light and easy to use. It drains cleanly. I do not understand the robustness yet, but there seems to be no problem. Although it is solid when used, it can not be assembled with the power of women.